This page is dedicated to my favorite singer of all time. 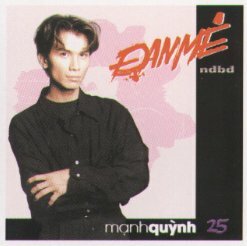 This is my favorite vietnamese male singer. His name is Manh Quynh. He lived in California, and he have about 30 records and I have most of them. Down below is some picture of him from cds covers. 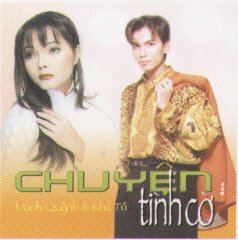 Manh Quynh became famous not long a go, he never been on a music video before he only record cds. He only compeat in singing contest that was held. His first apperance on music video was in a video call Tinh Yeu Va Tuoi Tre. He sang one of my favorite song Nhan Co cho Em. The latest concert that I heard that he was in was in Oregon. 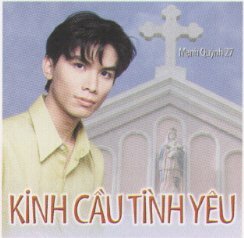 The newest video that Manh Quynh was on is Tinh Yeu Va Tuoi Tre II singing Tro Ve Cat Bui... that video also produce a cd record which he sang a couple more songs. This is my pictures collections. Click on the thumbnail picture and you will get a larger picture. 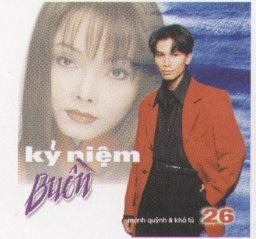 If you are one of Manh Quynh fans visit this site offen because I updated it every weeks or so. Here is a picture of Manh Quynh that I sketch out. Visit My a Manh Quynh Lyrics page. Most of the song was sing by Manh Quynh. If you have any feed back on this page or some information about this singer please email me at Kenny_6@hotmail.comor sign my guess book.